Colorful, attractive Tri Fold Brochure Templates for business. Latest, attractive brochure template for Photoshop. 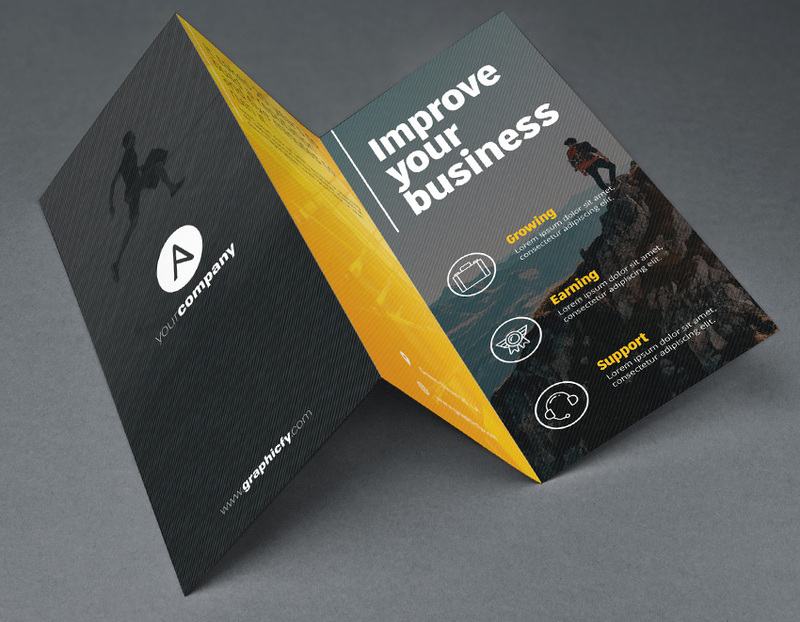 Catch the attention and new customers with this Tri Fold Brochure Template PSD. Minimalist, colorful, atractive, modern design and perfect brochure for any kind of company. All the images you see in the demo are included in the file for free, also the business brochure template has a 300 DPI resolution. Innovative corporate design used for all business purpose with 6 different pages in total. Premium and exclusive result. Download now this Tri Fold Brochure Template PSD or check other brochures of Graphicfy. CMYK colors. Ready to print.